When in Greece, it’s difficult not to notice the bounty of fresh herbs. They grow wild in the fields and almost every household keeps several posts of their favorites, such as oregano, rosemary, and thyme, in pots near their door for easy access, when needed in the kitchen. Restaurants even grow their own herbs and display them proudly in window boxes amongst their ornamental flowers. One of the hotels I stayed at had a kitchenette, and herbs are so important to Greek cuisine that the owner included a few pots of fresh herbs on every balcony for the guests to use. 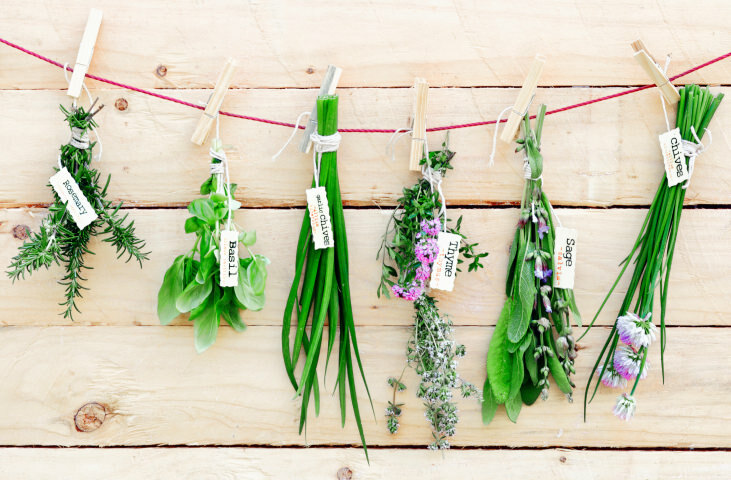 In Greece, fresh herbs are preferred over dried ones simply because they’re so fresh and flavorful. 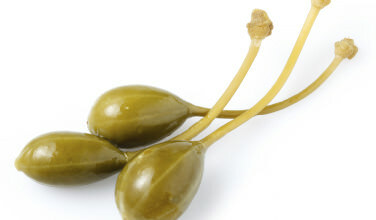 Greek cuisine has received international acclaim not only for the skill of the chefs who prepare the meals, but because everything tastes as if it was plucked from the ground that day, and in Greece, that’s what most chefs prefer. If it can be picked the same day that it is used, that’s always the ideal scenario. Dried herbs are only used when necessary and even then, chances are pretty good that the herb was freshly dried right after it was picked, which makes it infinitely more flavorful. Greek salad. Most Greek salads are dressed very simply. 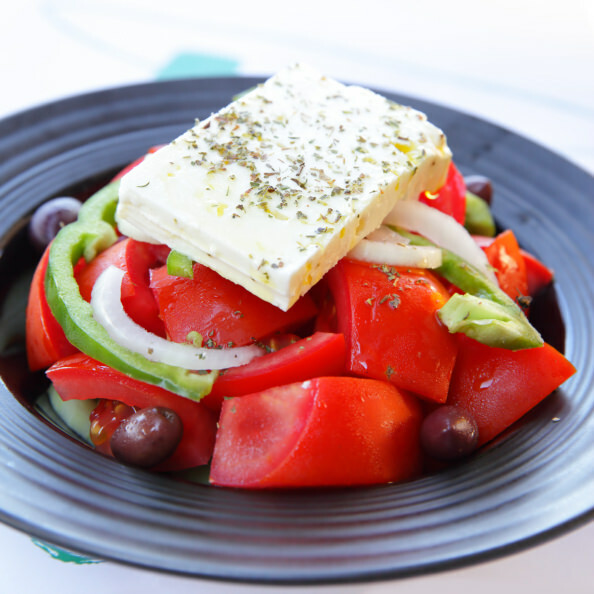 The iconic village salad, which usually usually contains cucumber, tomatoes, onions, bell peppers, olives, and feta cheese is usually drenched with olive oil and sprinkled with salt, pepper, and fresh herbs. That’s it. 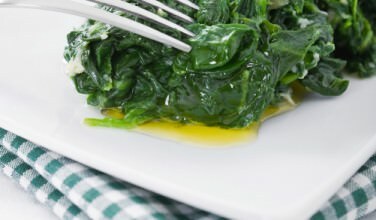 There are usually no special salad dressings used and most of the flavor comes from fresh herbs such as oregano (the most common), parsley, and dill. Tzatziki. 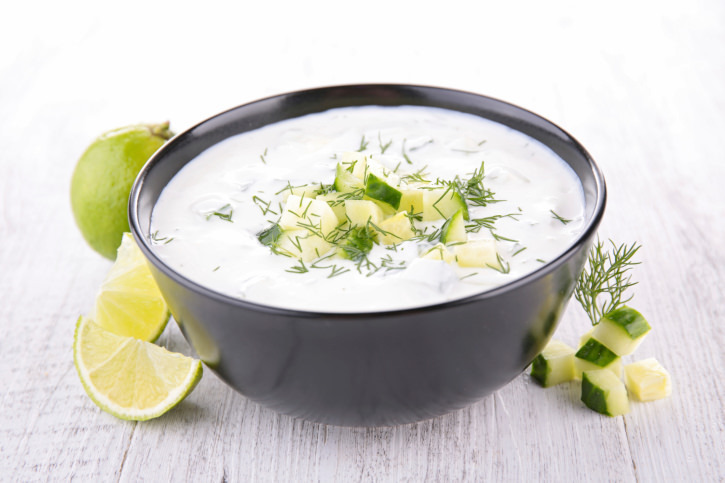 This Greek yogurt dip is made with fresh garlic, cucumber slices, and chopped herbs. Usually, dill is used with this dish because the flavor of it perfectly compliments the tang of the yogurt. However, parsley often makes its way into this dish, as well, since it has such a mild flavor. Vegetable Casseroles. Greek cooks love to throw together great tasting vegetable casseroles with whichever fresh produce they have on hand. Parsley is most often used with these dishes because of how mild it tastes. However, oregano and thyme are used just as often. Most of the casseroles include fresh vegetables such as zucchini and eggplant, onions, garlic, potatoes, and tomato paste. The fresh herbs are chopped and sprinkled on top before setting in the oven. Meat Dishes. 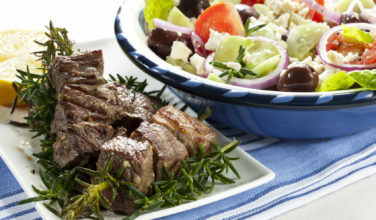 One of the unique things about Greek cuisine is the liberal use of fresh mint in classic meat dishes such as meatballs and dolmades. In fact, without this herb, those dishes wouldn’t be quite the same! Mint is heavily favored as the preferred flavoring for all ground eat dishes, including kreatopita (pita with ground meat), dolmades (stuffed grape leaves), and keftedes (Greek meatballs). 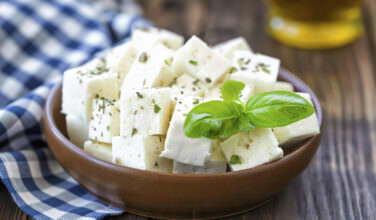 As you can see, fresh herbs plan an important role in Greek cuisine. Without them, the food wouldn’t taste nearly as flavorful and fresh!